The roof is one of the most important components of your house. It does not only protect your home against the weather but also contributes to its physical appeal. Choosing the right roof color goes a long way towards enhancing the beauty of your house and improving its resale value in case you decide to sell it. Color Harmony. Choose roof colors that harmonize with the colors of other components of your house, including the wooden siding, bricks and stone. A gray or blue house looks great with a black or dark gray roof. A brown or tan house goes great with brown or a mixed cream and brown roof shingles. A white house works well with dark gray or black shingles. Other compatible colors could also be matched up. Purposes. Use neutral colors if you want to keep your house in style for years. Neutral colors include grays, blacks, brows, creams, tans and clays. Using neutral colors help maintain a good resale value for your house. Choosing several tones of brown or mixing grays, blacks and blues make a trendier style. Enhancing the Style. Look at other houses having the same architectural style and color scheme as yours to get an idea of the right color combination for your home. Some architectural styles—such as a Spanish-themed one—look good with specific color-combination but not with other color scheme. Complementing Rules. Use a roof color that conforms to the local neighborhood rules, if any, about roof color. Pick colors that do not clash with the color standards observed in the neighborhood. Avoid using colors that reproduce those of your neighbors, unless they are the norm in the area. Climate. In cold climates, using dark shingles can keep your home stay warm because they absorb heat. They also melt ice and snow on the roof. In hot climates, light or white shingles help lower the temperature because they reflect sunlight. Light-colored roofs can lower the temperature in attics by 20 to 40 degrees. Creating Illusions. Lighter-colored roofs tend to make houses look bigger while dark colors give an illusion of a smaller house. Consult with Experts. Obtain actual samples of permanent colors in your house and bring them to your local supply store. 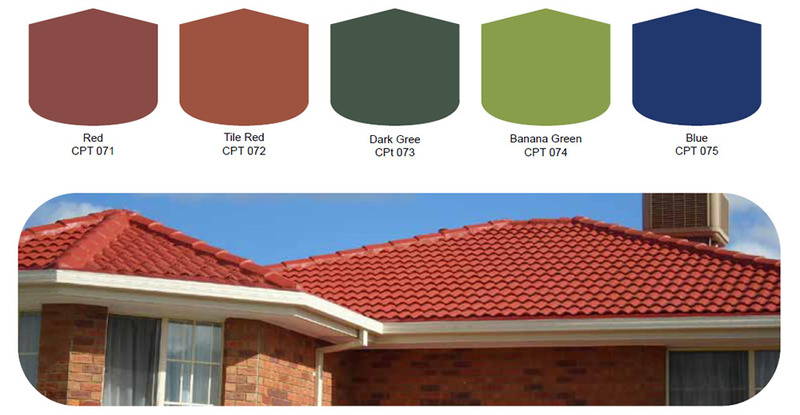 Discuss with an expert your color choices for your roof before buying any material.